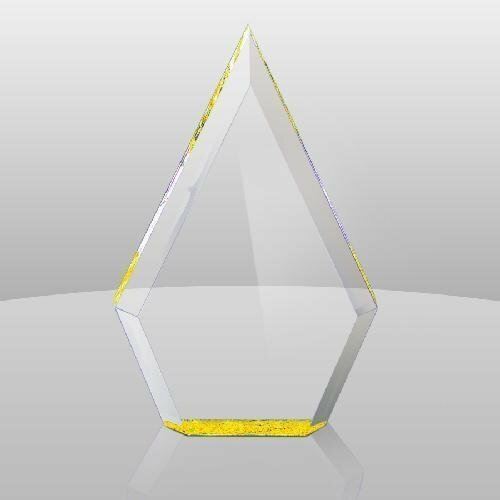 This Faceted Flame Award is freestanding and is part of our Solitaire Collection. 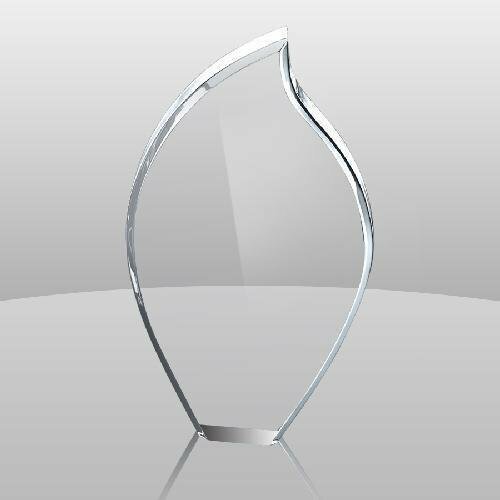 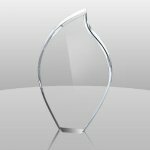 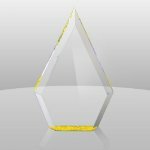 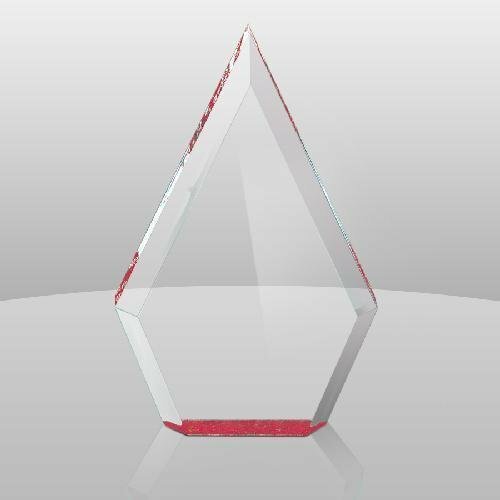 This clear acrylic award emulates a flame shape with a large area for engraving. This piece is currently offered in only one size. 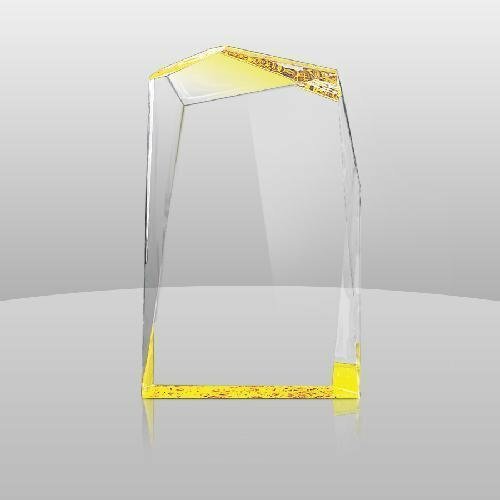 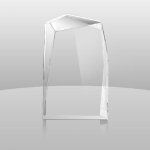 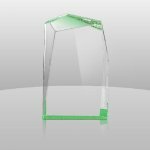 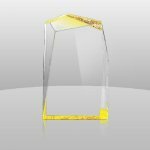 9-1/2" x 5-1/2" x 1-3/4"
The Heavy Jewel Bevel Award is a freestanding clear acrylic piece that comes with a textured and colored bottom edge that reflects throughout the piece. This award comes in your choice of blue, green, gold, purple, red, or clear. 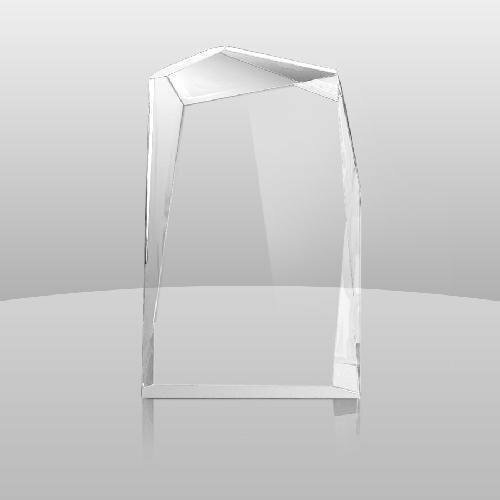 The sizes very from small to extra large. 8" x 5-1/2" x 1-1/4"